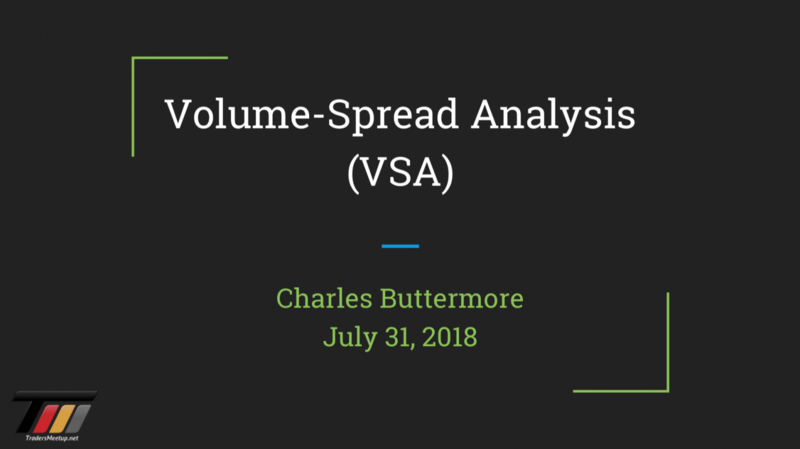 Charles Buttermore will be teaching a VSA approach to understanding price action and presenting findings from his proprietary deep-learning research model as a basis for algorithmically trading energy, metals, and currency futures. Disclaimer: Neither TradersMeetup.net nor any of its hosts, organizers, guests, presenters or other such representatives is, in such capacities, a licensed financial adviser, registered investment adviser, registered broker-dealer nor FINRA | SIPC | NFA-member firm. TradersMeetup.net does not provide investment or financial advice or make investment recommendations. TradersMeetup.net is not in the business of transacting trades, nor does TradersMeetup.net agree to direct your brokerage accounts or give trading advice tailored to your particular situation. Nothing contained in our content constitutes a solicitation, recommendation, promotion, or endorsement of any particular security, other investment product, transaction or investment. exhibition for profit, or storage in any electronic storage media in whole or in part is prohibited under penalty of law.